I think you are thinking of the same version I read ages ago. Is this the cover (front and back)? Okay. Now I have an answer for ya. I don't where I started in this series, as I don't have all the series titles in front of me. Though, this is not my favorite series. I think someplace in the last half of the series. Definitely not with the 1st one, but . . .?! I have tried to keep up with each new book as it comes out, and this is the newest one in the series. Not my favorite series nor my favorite book in the series. That may because . . . a.) our heroine is off her normal stomping ground. Most are set in New York City, but . . .?! This one is mostly set in San Francisco, during the great earthquake there. b.) or it may be that the mystery is slighter than normal. c.) or I have seen the great San Francisco earthquake better used as background in other stories. Still . . .?! I find both the series, so far, and the book readable, and with so much being unreadable (IMHO) that's all I ask. As to where to start . . .in most series, while they may reference past events and set up future events, most are set up, so one can start anywhere in the series and understand what is going on, and this one is no different. 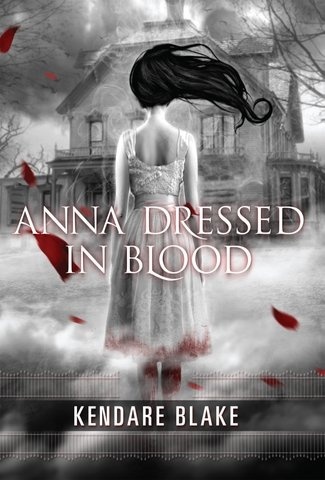 The cover was the main reason I read the YA novel Anna Dressed In Blood. 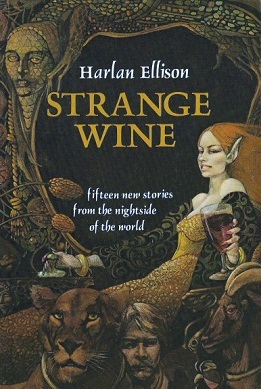 Turned out to be a decent book (and it's sequel, Girl of Nightmares) wasn't bad as well. The cover is really haunting and well drawn. I just like the dark, misty looking black and white haunted house in the background. Reminds me a bit of the illustrations from the old Scary Stories To Tell In the Dark Series. 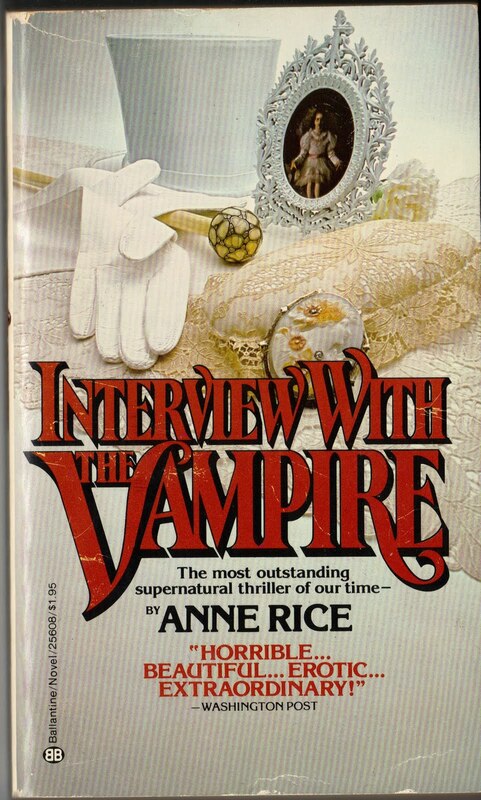 If you notice, the way that front book cover is laid out makes it look like Anne Rice is saying she thinks her own book is the "Most outstanding supernatural thriller of our time--". That gave me a smile. Thanks! But I won't probably start a series on this. I liked the Caleb Carr novels from NJ at that time, though. No. That's not it. Close in some ways since there were the 3 characters. I conclude that cover photo shoots, artwork, and changes were typical, expected, and common. 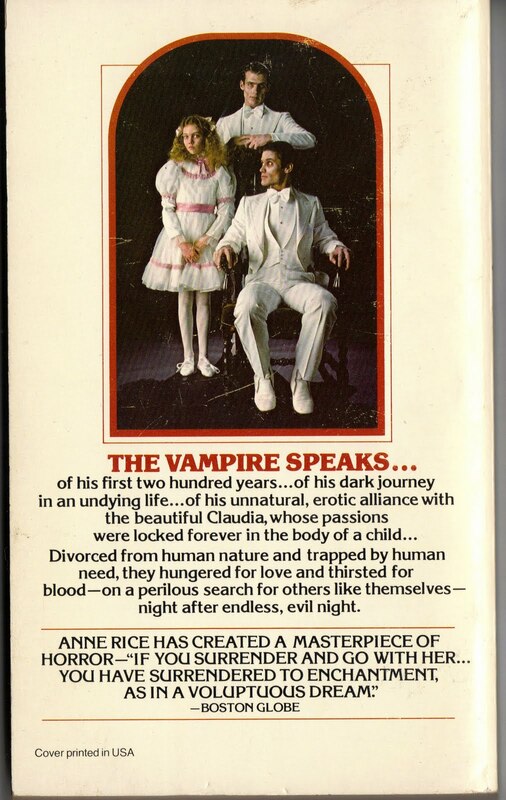 Loved the book, loathed the film. 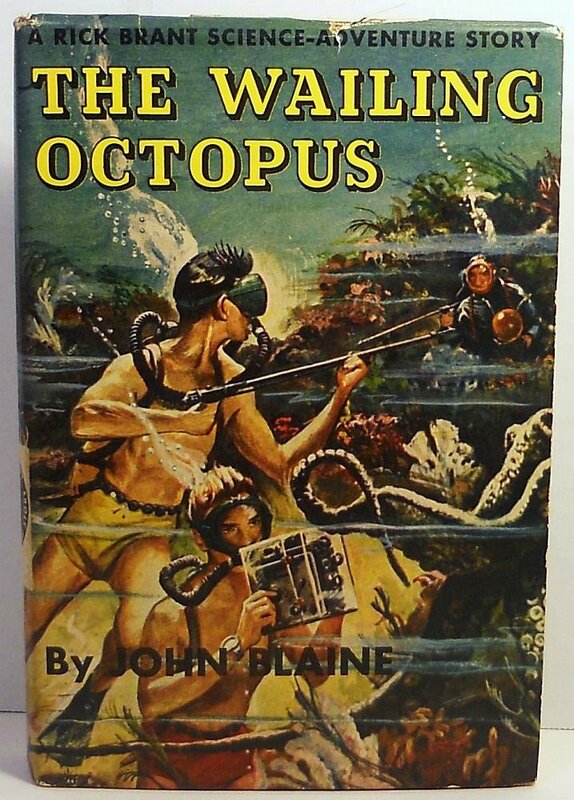 I remember faunching over this book at the age of twelve, until I was able to buy it; I can't remember any of the story now.